How to display underlying model data in tooltip? The chart series tooltip shows YData of the series, by default. 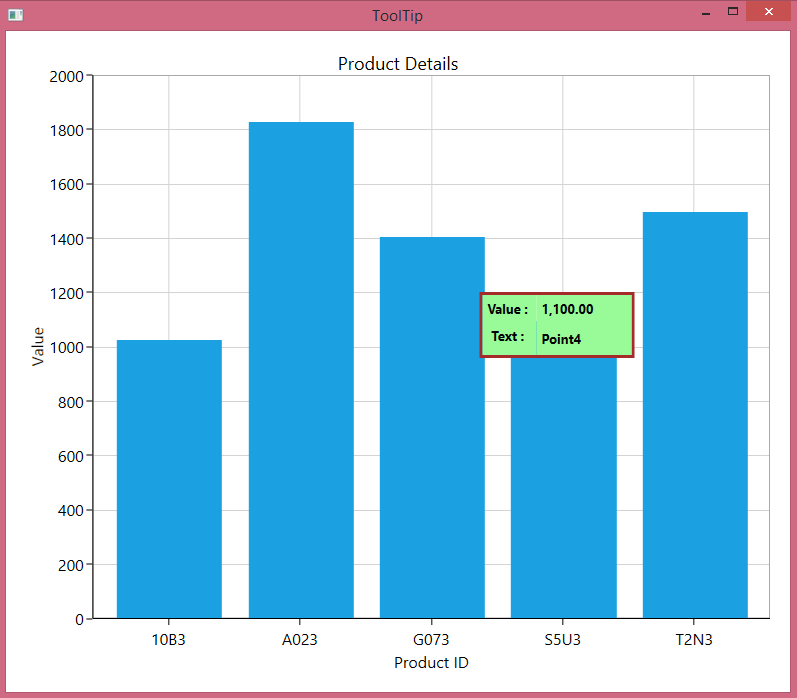 The SfChart allows you to display the underlying model of the series in tooltip. This article describes how to show the underlying model. In series, each segment holds the corresponding underlying model in the Item property. To display the tooltip from the underlying model, use the ToolTipTemplate property. In that template, you can bind the Item property of the segment to the Text property of the TextBlock as illustrated in the following code. The following screenshot displays the tooltip with underlying model data. Figure 1: Tooltip with underlying model data.